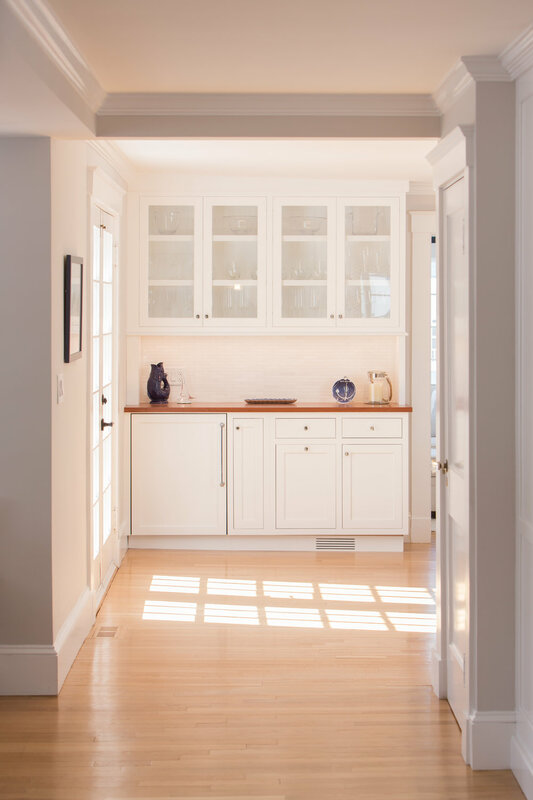 They chose to keep the kitchen all white, but the amazing details on the cabinetry, beautiful Spectrum Quartz counters, and polished chrome hardware modernize the space. 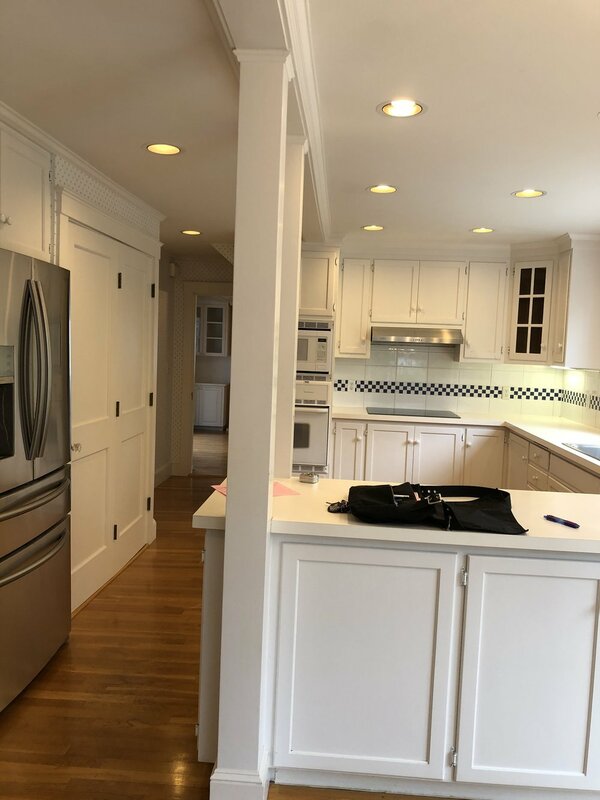 The guest bath is filled with light and right off of the kitchen, so they continued the all white theme in here. The master bath is done in Dove by Omega. Check out that gorgeous built in tub!